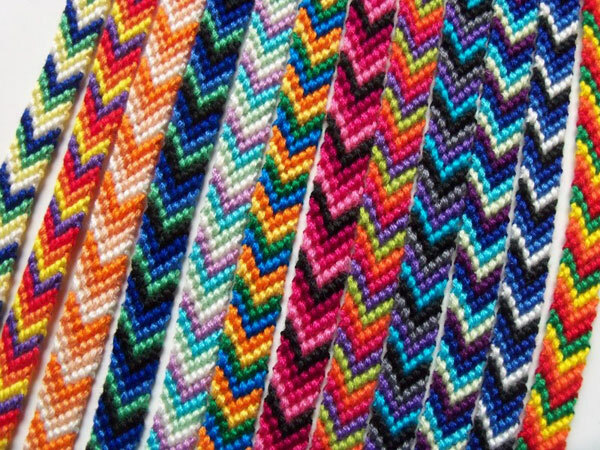 A friendship bracelet is a bracelet that’s sometimes handmade and created using woven or plaited cotton or wool. Friendship bracelets are a way of symbolising a bond with someone or something you are passionate about – whether you just want to show someone you care, or you want to show your devotion to a cause, the meaning behind a friendship bracelet never changes. It’s all about showing how much you care. Read about the origins of the friendship bracelet below and discover more about this small accessory that forms part of your current design repertoire. 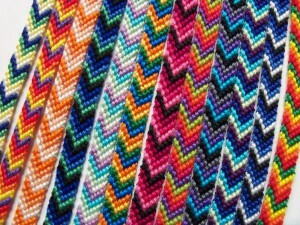 The origins of the friendship bracelet lie in Southern and Central America where native Indians constructed colourful bracelets using a series of knots known to us a macramé. The idea behind the bracelet was that it was tied onto the wrist of the recipient who, at that point, could make a wish. The bracelet was then intended to be worn continually until the threads wore out and the bracelet fell off, and it was only then that the wearer’s original wish would come true. Examples of macramé bracelets have been discovered dating as far back as 481BC, but their modern day resurgence began in the 70s in the United States and again in the 80s when they were used to highlight the disappearances of Mayan Indians in Guatemala. Since that time, these colourful friendship bracelets have enjoyed huge popularity across the globe and have evolved into many different forms representing a whole host of different political and social causes. Of course, they can and do still represent friendship but more recently have been adopted by celebrities wanting to show their support for issues personal to them and the impact has been immense. 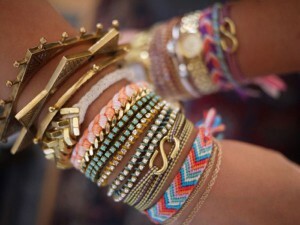 As well as political issues, traditions from the history of friendship bracelets have remained in our modern day life. For example, Indian weddings require guests to wear a thin friendship bracelet made of simple string and beads, and remain wearing this bracelet after the wedding until it falls off. If they remove this before its natural wear and tear, this brings bad luck to the newly married couple. Many jewellery brands have created their own version of the friendship bracelet or friendship jewellery now, and what started life as a humble symbol of friendship made of thread, can now command a hefty price tag and contain pearls, gold and silver as well as beads and stones. The addition of knotted thread or leather to precious metal or semi-precious stones can make a friendship bracelet design instantly more modern and casual. This leads on to attract a broader and younger customer base which is enabling brands to move into new markets. 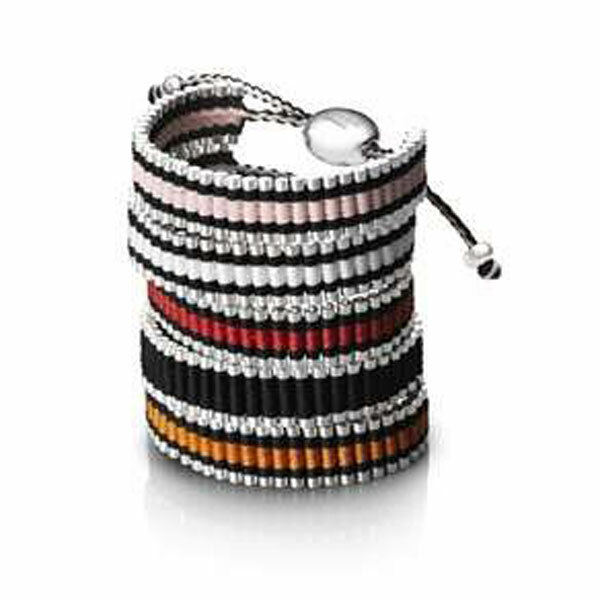 From a practical perspective, the adjustability of friendship bracelets is a fantastic selling point. If you add to that the huge colour choice and the lovely packaging that many brands provide, the success of these friendship jewellery products is really not surprising. 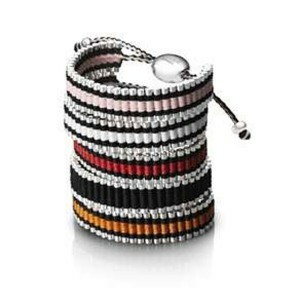 Despite some of the high price tags for designer friendship bracelets, the addition of a woven or knotted element to pieces has allowed manufacturers to take the cost out of items by simply reducing the amount of metal or stones. This usually occurs when metal prices are volatile and retailers and manufacturers look for ways of reducing material costs within products. The friendship bracelet style has proven to be the perfect vehicle for this and has helped to bring mixed media jewellery to the fore. An eclectic mix of colours and materials achieves an effortless, bohemian style which becomes unique to the wearer thus satisfying their need for individuality. The wearer of your personalised friendship bracelet will want to look as though they are wearing a selection of handpicked treasures from exotic shores, rather than the reality that is a mass produced item available on any high street. Another key factor in the success of the handmade friendship bracelets is the way in which they are worn. Layering and stacking of rings, bracelets and necklaces is a popular choice for wearers, and has now become a classic style which fits perfectly with the ethos of any friendship bracelet. As an affordable, versatile, practical and fun way to show your passion for something, making friendship bracelets is a popular choice among jewellers, and wearers alike. To make your own personalised friendship bracelets, find all the jewellery supplies you need from Cooksongold online today.